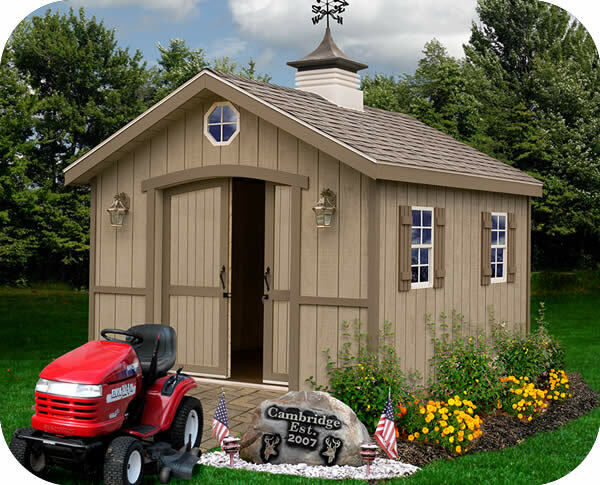 The Cambridge 10 x 16 Shed Kit is the perfect example of how a high-quality shed can enhance your home, your yard, and your life. 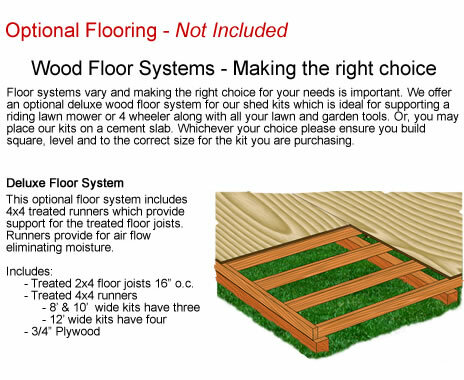 Best Barns has always provided the highest level of performance and convenience at the lowest price, and this wood shed kit is no different. 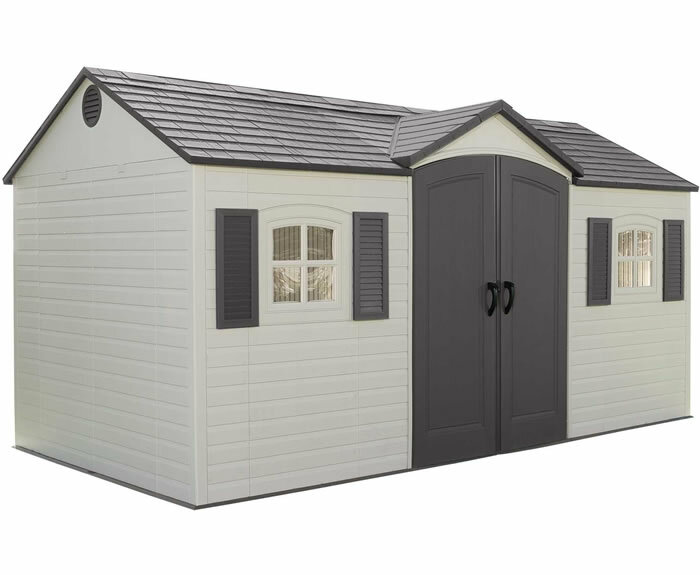 You get a great shed that won't torpedo your budget and won't cost you a month of setup time or a construction crew to start enhancing your outdoor area. 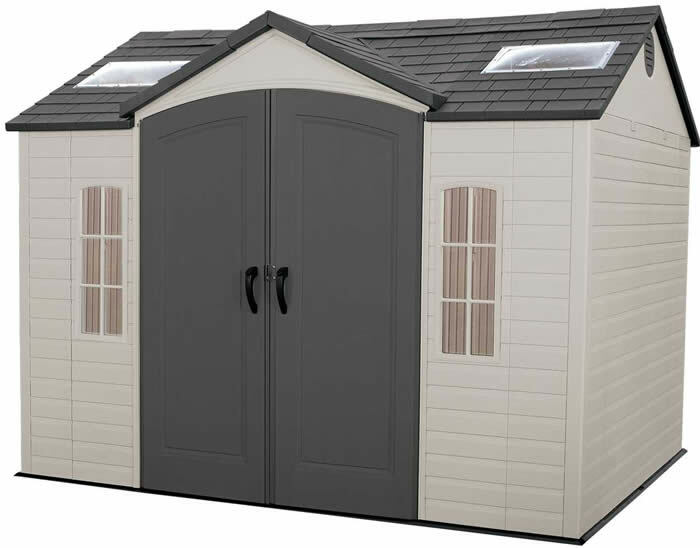 This outdoor wood storage shed construction spacing trusses 24 inch on center makes your roof strong enough to bear almost any American snowfall. Order in confidence. 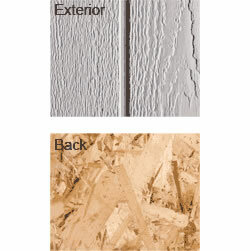 We use the highest grade of lumber from Germany and Sweden, backed by our 100% satisfaction guarantee. 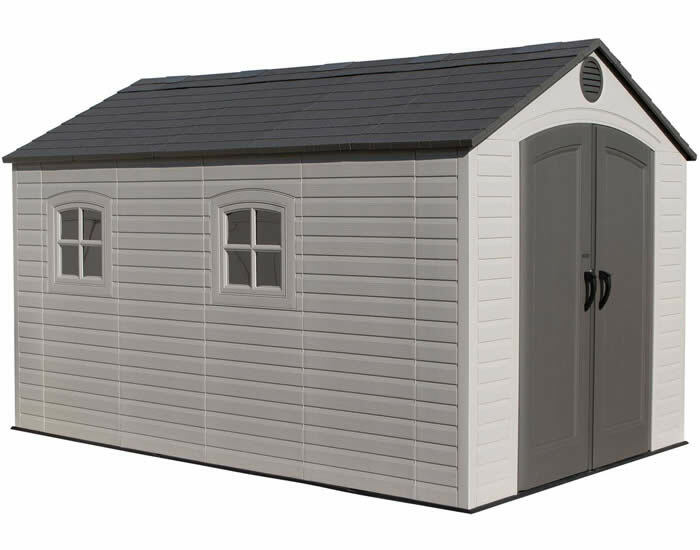 This Shed withstands demanding wind and snow loads. 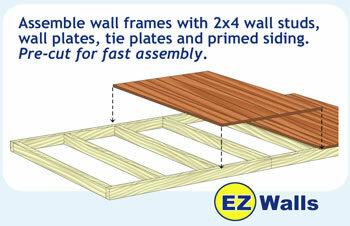 Our trusses are designed to handle severe snow loads of 40psf and 90 mph wind loads. Do-it-yourself completely pre-cut so there's nothing to saw! 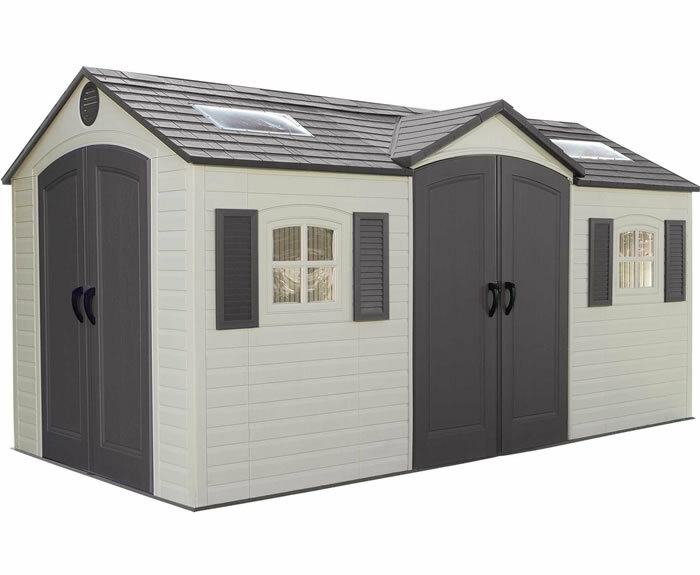 Our outdoor 10 x 16 wood storage shed has style and storage, that provides the ultimate in strength and will not rust, dent or sag. Everything is pre-cut so there's nothing to saw! Base Shipping Weight: 1500 lbs. 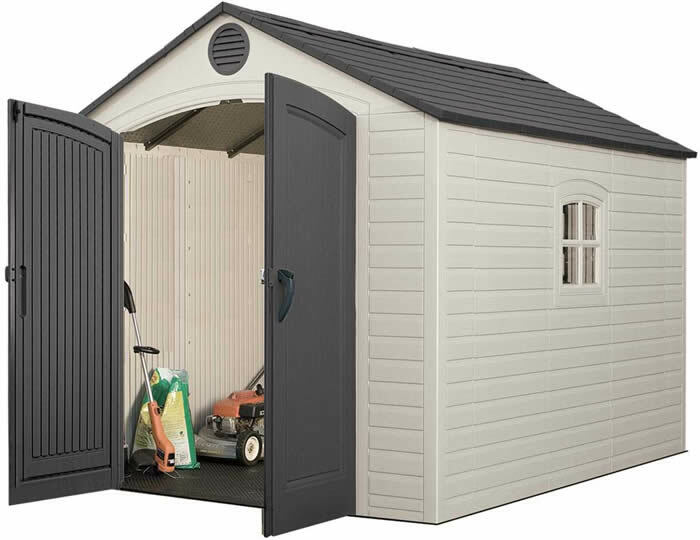 The Cambridge shed also includes framing and trim nails, powder coated black door hardware, and fully illustrated, step by step instructions. And, the shed is covered by our materials replacement guarantee. If any material in your kit is less than perfect on arrival, we will gladly replace it at no additional cost to you! From a local lumberyard, buy shingles, roof edge and roofing nails. Where possible, choose shingles that match the roof on your home. 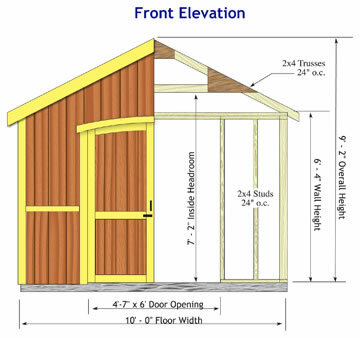 Before beginning construction, get a building permit and make sure designs conform to local building code.